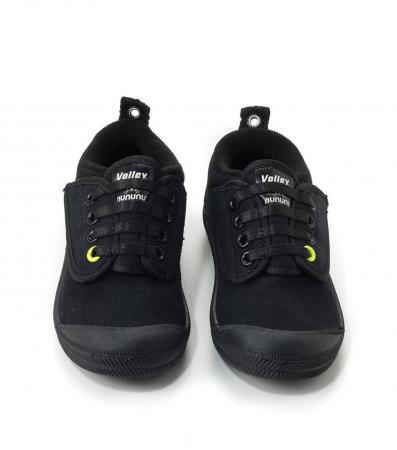 these low cut unisex sneakers are the result of our collabo with volley, the iconic australian sneaker brand. the black on black tonal look gets a pop of neon, bringing classic flyness to a shoe that works hard for the modern boy or girl out & about in the world. let them explore in style.